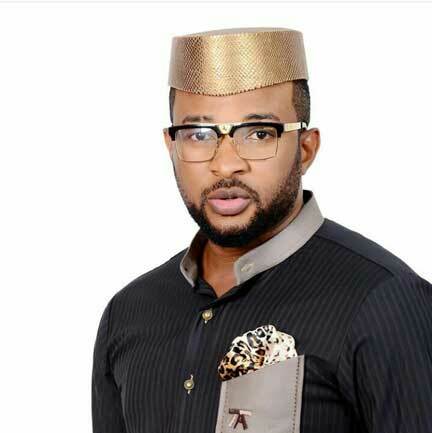 Nigerian celebrities have been under fire of late for purchasing any fake designers product as they are alleged to be indirectly promoting piracy as they would not allow such in their own intellectual work. Fake designers police Daddy Freeze and Hushpuppi has been able to put them in check over the kind of product which they purchase. Recently it was Kiss Daniel who was exposed for wearing a fake Louis Vuitton shirt, which he blamed his video stylist for giving him the fake cloths to wear. Actor Ik Ogbonna followed in the same footsteps as he was caught wearing a fake D&G designers shirt after wards he took to social media to say he had fired his personal shopper for he was responsible for the act. Now it is Nollywood Actor Chigozie Atuanya who also went for the popular D&G designer’s collection and this one is surely the faker version of them all. 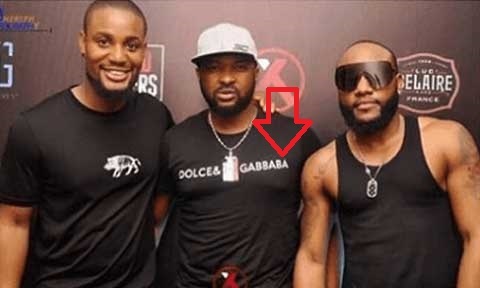 The name Dolce&Gabbana was wrongly spelt and even after seeing that he went on to wear it. They had instead spelt it as Dolce&Gabbaba. Chigozie was in the company of Alex Ekubo and Kcee.